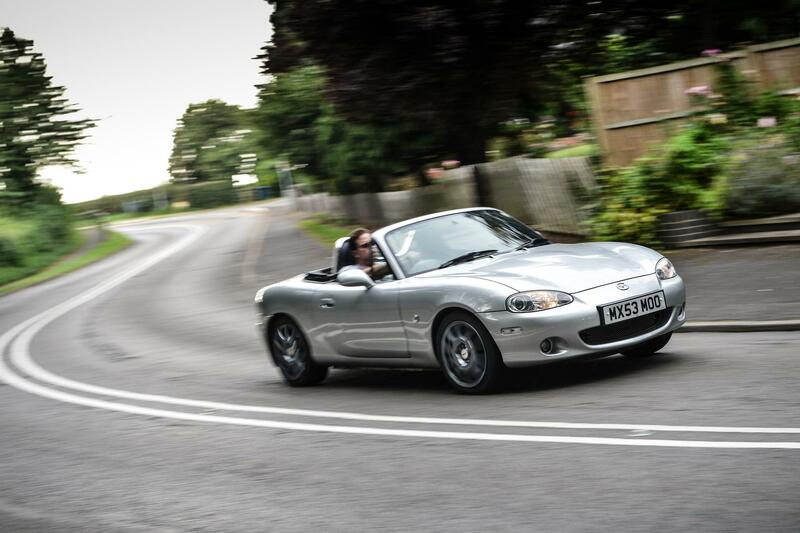 Already one of the best handling road cars money can buy, the cornering ability of first and second generation (NA and NB) Mazda MX-5s can now be sharpened yet further, thanks to SuperPro's recently expanded range of roll-control products, namely the firm's adjustable rear anti-roll bars. Now available for fitment to the rear of the MX-5, the heavy duty bars are 16mm in diameter and feature three pre-set adjustment points. 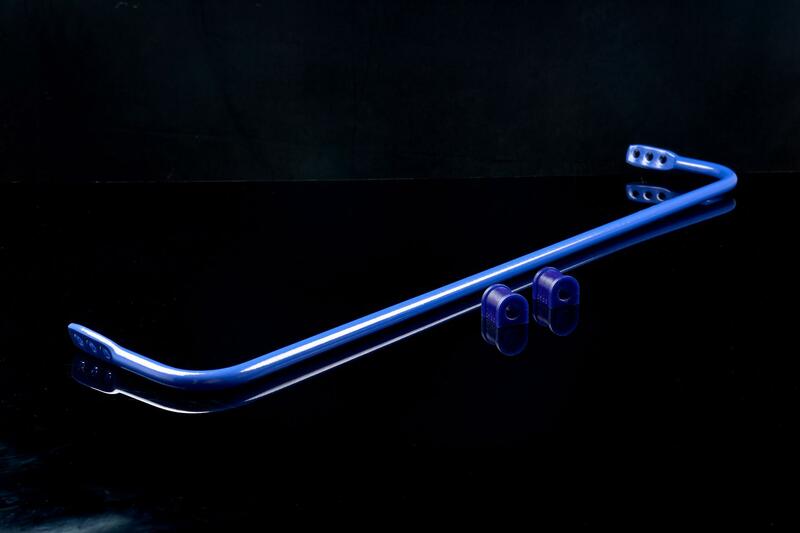 Anti-roll bars are a key component in any modern vehicle's chassis. They serve to link the sides of the car together, resulting in a reduction in flex and lateral movement when cornering at speed and maintaining maximum tyre contact with the road. While the bars fitted as standard by manufacturers are perfectly adequate for most individuals, those pushing their cars further can often find themselves requiring greater scope for fine-tuning, and SuperPro's adjustable rear anti-roll bars have been developed for this very situation. SuperPro's comprehensive understanding of automotive chassis technology and the science behind sharp, consistent handling means that it's ideally suited to design, produce and market significant aftermarket hardware, and the anti-roll bars are no exception. Carefully designed to perfectly mount to the OEM drop-links, SuperPro's MX-5 bars feature a trio of pre-set location points designed to cover the majority of driving situations and eventualities: soft, medium and hard. As you might expect, the three settings represent a rising scale of 'stiffness,' with softest one promoting a more compliant ride that's perfect for use on rough, pot-holed roads, the hardest setting for the smooth asphalt that characterises race circuits, and the medium setting falling neatly in between. All will increase the amount of time that the tyre remains in contact with the road surface, while also ensuring that cornering load is distributed evenly across all four tyres, and thus promoting even ware and, once again, more predictable, sure-footed handling. SuperPro has gone to great lengths to ensure that physically switching between the three pre-set adjustment points is a simple and swift procedure, as evidenced by the 3 clearly labeled and pre-drilled holes at either end of the anti-roll bar. Toggling between these settings can be done with basic tools and while the bar is bolted to the vehicle itself, meaning that owners can finely tune their car's chassis setup to better suit the conditions of the road and/or track, and the adjustment process can be completed within minutes. 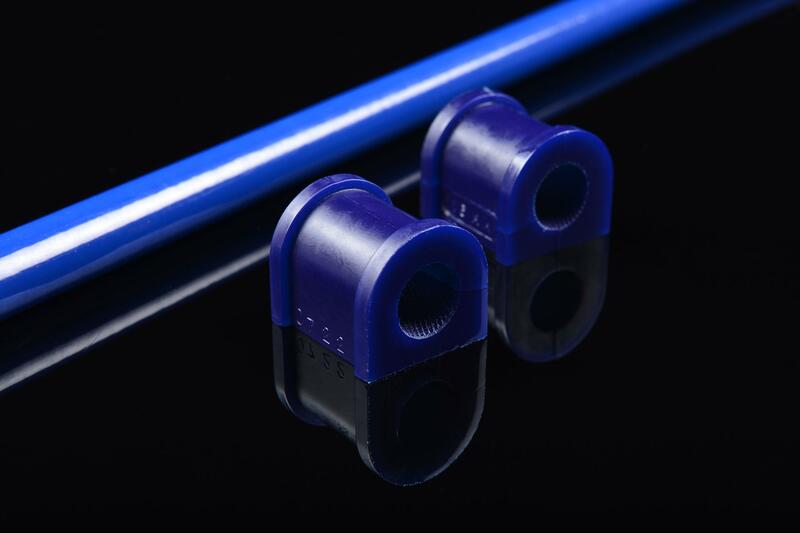 All SuperPro adjustable anti-roll bar packages contain everything needed to securely locate them to the car, including a pair of the firm's specially formulated polyurethane suspension bushes. These have been painstakingly developed to be progressive, meaning that the material itself physically tightens and firms up under the conditions associated with hard driving, resulting in greater steering feedback and a more confidence inspiring driving experience. All SuperPro products are the result of an exhaustive research and development process and can therefore be relied upon to provide years of reliable service. 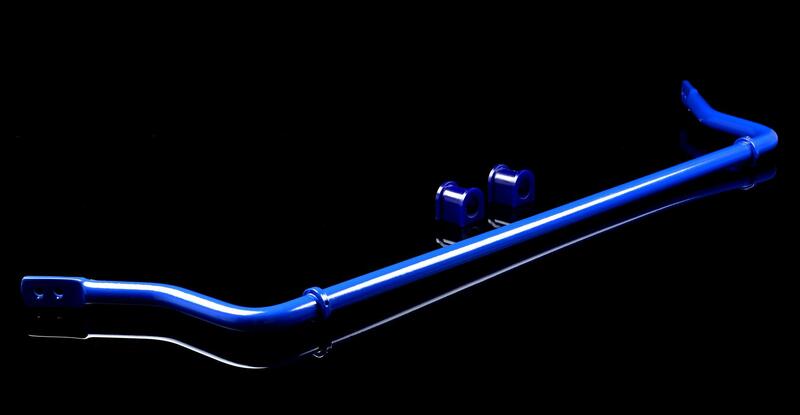 One of the most obvious products of this process is the specially developed treatment process that sees all the firm's anti-roll bars electro-statically powder coated in SuperPro's iconic blue. Not only does this mean that they look very special indeed, it protects the high grade steel underneath from rust, detritus thrown up by the wheels and the vagaries of the British weather. 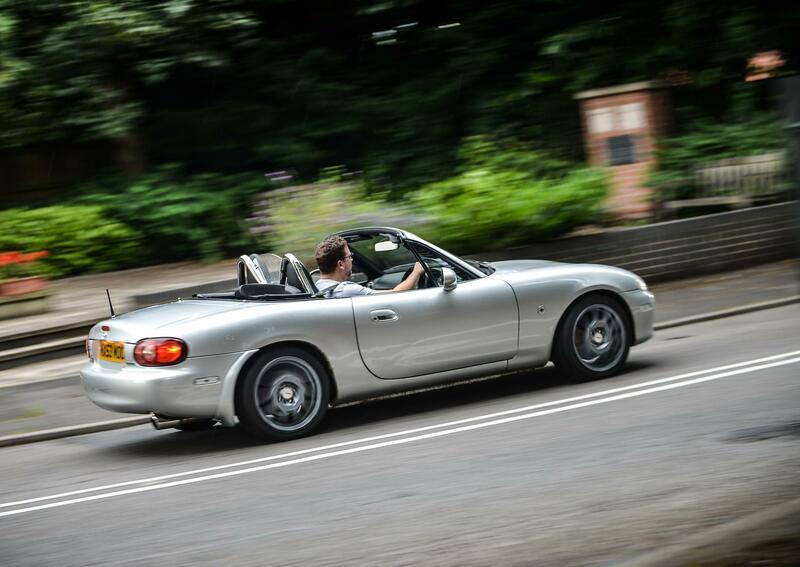 Certain to be a valuable addition to the rear of any NA or NB Mazda MX-5, the SuperPro rear anti-roll bars have been designed to complement the OEM hardware already in situ and will therefore fit perfectly and precisely.